I first laid my eyes on the adorable vintage-inspired aprons and nightgowns from The Domestic Dame at Unique LA. Immediately my ojos turned into hearts and I was in LOVE! Aren’t they the cutest brand ever? And all made right here in LA! Here I am wearing the Eva nightgown with an eyeball mask in a hot tub surrounding by candles. Lucky for you, The Domestic Dame is giving away one of these same nightgowns to an AL reader!!! That means we can be twins, but only if you wear the same mask, in a hot tub surrounded by candles. A small pond or a pedicure chair is fine too. Leave a comment below to enter and check out their other goodies to add to your wish lists. The contest is open to US readers only. I will choose the winner on Friday. Good luck! UPDATE! 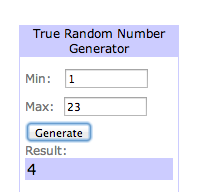 I have chosen thee lucky winner via random.org. Congratulations to lucky #4 Madeline! Thank you to all who have entered! Follow The Domestic Dame on Facebook and Instagram @thedomesticdame. i would wear one in a heart-shaped bathtub filled with puppies while eating pizza! just tooo cute! i am not gonna even lie i would probably wear this nightie out and about. I would wear that nighty as regular clothes every darn day of my life. I am a dude who thinks your blog is really funny. While I am not sure I would look so cute in this nightgown, I know my lady would. 🙂 Thanks! I also checked out your Cinema Midnight page and think its pretty pimp. I grew up watching 80’s horror. 976-EVIL baby! I’ve had my eye on one of these babies for a bit. It’s the cutest! I suddenly have the urge to make cupcakes with some sort of oozing center…. I absolutely adore these nighties!! And I just so happen to have an eyeball mask!! …..No I don’t. Who has that?? But I do have candles, and plenty of good ideas for that gown! Love. I need some hearts in my ojos! Oh hell yes. I will totally recreate that photo if I win. OK, I can do a hot tub and candles, at least.. This nightgown is too cute <3 I've always wanted to buy one, but I can never find them while shopping in LA in my correct size. Def on my wish list!! How cute and sweet looking, fingers crossed I win. Here’s what I would do: I would wear the Eva nightgown in a tub of eyeballs and all the eyeballs are from real Huskies and the water is turning caribbean blue and Janet comes up from holding her breath and the little whiskers on her chin start telling me a story. Oh, and Whoopie is there too burning some sage because of the evil spirits. If I win I will share it with my two ladies like a secret STD. No one has to know. I like their boudoir apron. I wish I had an eyeball mask.